If you are struggling to motivate your child to learn to read, one option worth exploring is using an online reading program. There are many fee-paying online reading programs which charge a subscription or one-off fee of some sort. However, there are also some good free reading programs available online, which are ideal if you do not want the commitment of subscribing to a program. Free online reading programs are also appropriate if you are just looking for occasional extra reading tuition, perhaps to supplement what your child is receiving at school or address a particular problem area, rather than a regular program to be followed several times a week. Some of the features available in the fee-paying programs are not available in the free reading programs. For example, you won't find detailed reporting of your child's progress or a facility which automatically targets the lessons to your child's capabilities. 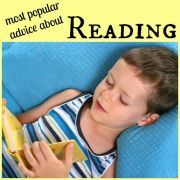 However, if these features are not important to you, the free reading programs are well worth a look. Generally they require you to go through a simple registration process in order to access all of the material. Founded in 2002, Starfall is a very popular website for parents looking for a free, interactive reading program. Through a combination of activities, songs and on-line books your child will have fun while also learning to read. There are four main sections of the site which progressively teach your child the skills they need in order to learn to read fluently. There are also free worksheets available to download to practice letters, phonics and creative writing skills. In the "Starfall ABCs" section your child learns the relationship between letters and sounds by clicking on the letters to see, hear and manipulate the letters and sounds that they make. 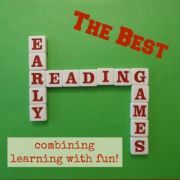 Once your child has learned the consonant sounds they are ready to enter the "Learn to Read" section of the site. Each row features one vowel sound. 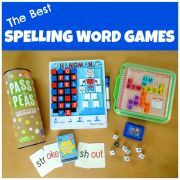 Children listen to, manipulate, read, and eventually master this sound-spelling through a variety of books and games before moving on to the next row. Other consonant digraphs (sh, wh, th, ch) are also introduced. 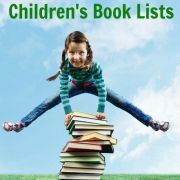 Next your child can explore a variety of genres and topics that will expand their reading vocabulary and comprehension in the section "It's Fun to Read". Every word on the site is clickable, and will read aloud so that speaking, reading, and writing vocabulary can grow alongside new concepts. Finally, in the advanced section of this free reading program known as "I'm Reading", your child will transition from learning to read to reading to learn. These vocabulary-controlled stories introduce children to words they will frequently encounter in reading. 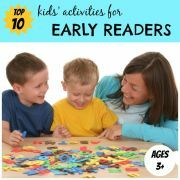 This series develops comprehension and reading fluency in beginning and advancing readers. 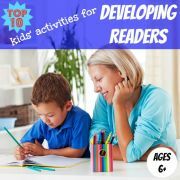 One of my favourite free reading programs is Progressive Phonics, which offers a phonics-based method of teaching your child to read based on reading the specially written books. Once you have completed the free registration process, the reading books can be printed or read on-screen. They contain short silly rhymes to practice specific phonic rules and also teach important sight-words which break these rules. Matching handwriting worksheets and activities, such as word searches and memory games, are also available to support each book so that your child learns to write what they learn to read, which helps improves their fluency. The books are very well structured. Each time a new sound is introduced it is explained in a simple, scripted way that you can read aloud to your child. So any parent can easily become their child's teacher, even if they know little about phonics. For example, to introduce the letter combination 'ck' the book explains, "Words that end with a "kuh" sound are usually spelt with a "c" and a "k" - duck, black, sock. Because a "c" and a "k" can both make a "kuh" sound, it's a bit silly to have both letters at the end of a word, but that's how we write it." In each book, words that the child should be able to read are printed in blue, new words being learned are in red, and words which have not yet been learned are in black. The black words are supposed to be read by the parent or teacher, although your child can, of course, have a go. The books are divided into three different stages - Beginner, Intermediate and Advanced - and the sounds taught in each book are clearly stated. So if your child has a particular problem with one sound, you could go straight to this book, rather than necessarily following the books in sequence. It is assumed that the child already knows their alphabet, although other books are available to teach the alphabet if this is not the case. Beginner Phonics Books teaches the five short vowels (a, e, i, o and u) as well as some of the variations of the pronunciation of the letters "s" and "f" (as in is, his, as, and of). Intermediate Phonics Books teach long vowels, consonant blends and digraphs (two letters that make one sound, such as th, sh, ai, ea, oo, etc.). 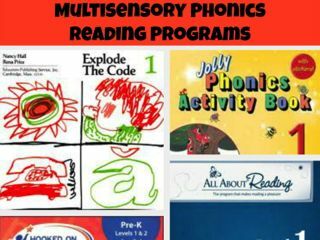 Advanced Phonics Books teach advanced long vowels, syllables, basic punctuation, silent letters, R-controlled vowels, W-controlled vowels, L-controlled vowels, basic homonyms and the common words that break these phonics rules. Hopefully one of these free reading programs will help provide the motivation your child needs to learn to read!